Danny Mattey is proud of his family’s logging legacy in Chase, B.C., which began in 1932 when his father, D.J. Mattey, started logging with horses. Mattey's office displays dozens of old, black-and-white logging photos. 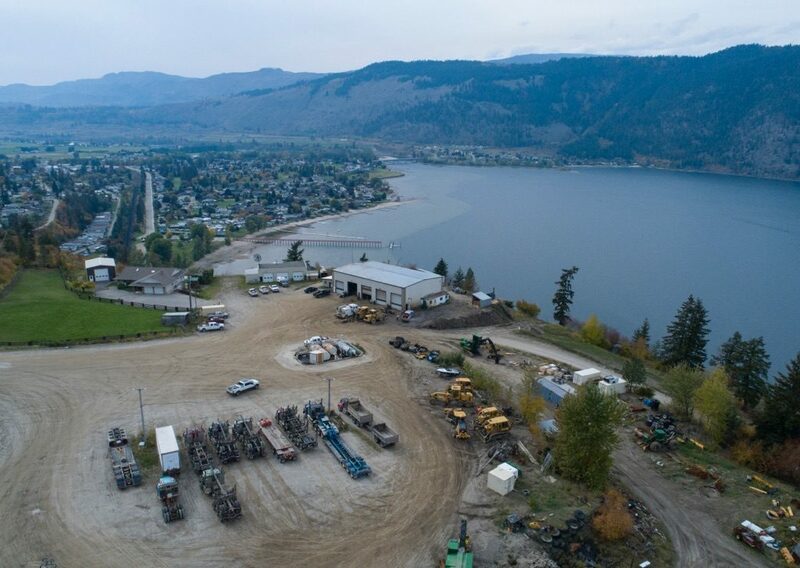 Just off the TransCanada Highway heading into Chase, B.C., perched on a hill overlooking the mountain valley town, is a non-descript garage and office that houses a nearly century-old logging company, Mattey Bros. Inside the office, the rich logging heritage is evident on nearly every wall where black-and-white photos paint a picture of the past, from horse-drawn loads to log flumes used by the old Chase sawmill to transport timber from the surrounding mountains. In one frame, a photo of the Second World War-era Avro-Anson Bomber is next to a signed letter from the Pacific Veneer Company, dated Dec. 21, 1942, thanking Mr. D. J. Mattey for supplying the birch peeler logs used in manufacturing the aircraft. “We thought you would be interested to see a picture of an aeroplane [sic] your logs are helping to build. Every additional plane brings us closer to victory,” the letter states. D.J. Mattey is current owner Danny Mattey’s father. 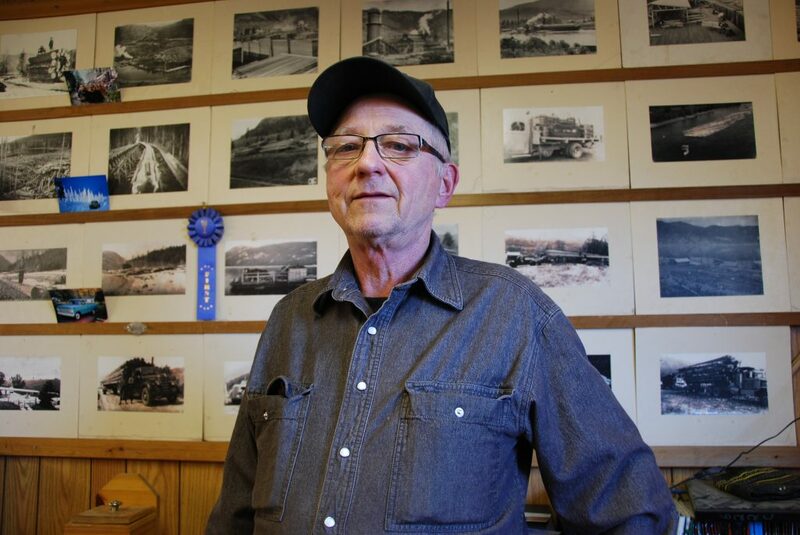 Danny, 69, is proud of his family’s legacy in Chase, which began in 1932 when D.J. Mattey began logging with horses. He owned a small mobile sawmill for a time before going into logging full time. Another frame on the office wall is an invoice of Mattey Bros first skidder, a brand-new Timberjack 404 purchased in 1968 for $28,000. In 1995 the company bought its first mechanized harvester – a used John Deere 690 with a Waratah head. Over the past few years in particular, Mattey Bros has grown exponentially and is now a large player in the B.C. Interior logging industry. The company runs more than 40 pieces of iron and harvests around 375,000 cubic metres a year, employing about 55 with another dozen subcontractors. Danny admits that he’s mostly retired now but still enjoys the daily office work while his son, Dan, is out in the bush overseeing the company’s current logging contracts in Revelstoke, Vernon, in Sicamous and Sunnybrae and Seymour. Over the past few years in particular, Mattey Bros has grown exponentially and is now a large player in the B.C. Interior logging industry. The Mattey Bros office and garage sits on a hill overlooking Chase, B.C. Mattey Bros sticks with contracts within 2.5 hours or so of their office in Chase. Crews will overnight when working in blocks as far away as Revelstoke, but the goal is to have the operators home after their shifts. The wood profile in their region is mainly fir and cedar with pockets of spruce and balsam. The majority of their harvest heads to Gorman Bros.’s operations: Downie Timber in Revelstoke and Canoe Forest Products in Canoe, B.C. 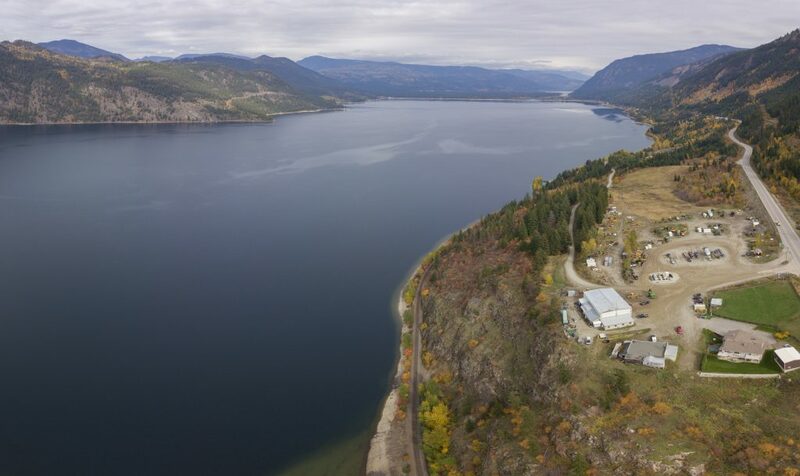 Some shipments are sent to Tolko mills in the Okanagan area, as well as North Enderby Timber. To streamline their operations, Mattey keeps log hauling in house. The haul distance ranges significantly from under 20 kilometres to more than 200 kilometres. The fleet comprises 11 Western Star log trucks and two International log trucks, as well as a Western Star low bed. Nearly all of Mattey Bros’ harvesting fleet is John Deere, with a “token” Link-Belt and Tigercat, he says. The Tigercat is an 870 feller buncher and the Link-Belt a 270 log loader. The John Deere roster includes six feller bunchers, six processors, 13 skidders, six log loaders and six excavators with Waratah and Brandt Tractor Grapples on the newer machines. Danny aims to put 20,000 hours on most of the machines, but with the volume they harvest that adds up fast. In 2018 he purchased eight or nine brand new John Deere machines. “This year we bought a 959M buncher, 2654G processor with a 623C Waratah head, and a 2154D processor with another 622C head, and two 948L skidders,” Danny says. He’ll also buy used equipment when possible, and this year that added up to about six pieces. For roadbuilding, the Mattey fleet includes a John Deere 870 grader and two Cat graders, a 14H and a 140G, as well a Cat D7 crawler and an IHC TD15 crawler. Unsurprisingly given the industry climate, finding the right people and keeping them around is the No. 1 challenge for Danny. “It’s hard to get the young people to want to get up at two in the morning to go to work when they can work nine to five somewhere else,” Danny says. And in spite of the slump in Alberta’s oil and gas sector, companies are still drawing B.C. residents in hopes of well paying jobs, he says. “But we do get a few young guys who are willing to do it; some local guys,” Danny says. The contractor’s long-term employees, like foreman Dale Becker, supervisors Todd and Bob McLellan, skidder operator Kim Farrell, and mechanic Derry Dawson, are valuable assets who help run the show. The key is for these older employees, some of whom are in their 60s, to pass on their knowledge to the younger generation of operators. When it comes to the future of the B.C. interior’s logging industry, Danny says he’s concerned. Over the past year he’s watched several small contractors with fewer than 10 machines close up shop and auction off their equipment. And fresh blood in the contracting world is unlikely when the cost of entry is so high. “It is really hard for anyone who wants to start a business doing this. I just took over and have carried on from my dad, but to start from scratch and buy a machines you need a large down payment and if you have payments on every piece you’re using it becomes very difficult to pay it off,” Danny says. With his 40 machines and 13 log trucks, Danny estimates he’s burning $500,000 in fuel costs a month. These cost concerns are consistent with the results from CFI’s 2018 Contractor Survey. According to the survey, 77 per cent of B.C. Interior contractors say the cost of machinery purchase has increased “significantly” over the past three years. A strong majority in the Interior also say machinery parts and service, as well as fuel costs are all significantly higher now. In spite of these challenges, Danny says he’s confident Mattey Bros has the right recipe to weather the industry stressors in B.C., and their employer relationship has a lot to do with it. “In all honesty, I think we work for one of the best mills in the country, the Gorman Group. They’re fair and we can work with them. That makes the difference,” he says. Spending quality time with Danny revels another, unspoken secret to their success: determination. With all that logging history reflected on the Mattey office walls, it’s not hard to see why this family of loggers is willing to work hard to keep that tradition alive.